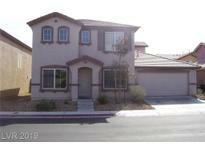 Below you can view all the homes for sale in the Cortez Heights subdivision located in North Las Vegas Nevada. Listings in Cortez Heights are updated daily from data we receive from the Las Vegas multiple listing service. To learn more about any of these homes or to receive custom notifications when a new property is listed for sale in Cortez Heights, give us a call at 702-323-5963. Open plan, ready to move in. 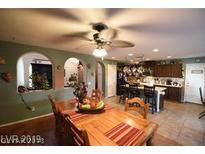 MLS#2089808. Principle Realty Advisors. All tile downstairs and carpet upstairs. All appliances stay. MLS#2084813. BHHS Nevada Properties. Buyer/buyers agent to verify all information. MLS#2079063. GTS Properties. Honey Stop The Car-beautiful-4 Bed-3 Bath-two Story-2 Car Garage All Appliances Included-granite Counter Tops(kitchen Island)-walk In Pantry With Extra Wrap Around Storage Underneath Stairs-covered Patio-tile And Wood Laminated Floors. MLS#2067828. Parkside Realty & Management. Charming 2-Story Home with Open Floor Plan*Located Close to Shoppog & Schools*Vaulted Ceilings*Cozy Kitchen, Center Island w/ Breakfast Bar*Tile, Carpet and Laminate Throughout*Desert Landscaping Front & Back*4 Bedrooms, 3 Bathrooms with a Seperate Laundry Area*Great Community Offers Park/Playground, Picnic Areas and BBQ Grills and Basketball Courts* MLS#1997300. Barrett & Co, Inc.